This film is a part of a Double Feature with Fish Tank. When two movies that are screening in the same theatre are grouped under the same thematic heading, one ticket is good for both features when viewed back-to-back on the same day (except as noted). Danny Aiello, Ossie Davis, Ruby Dee, Richard Edson, Giancarlo Esposito, Spike Lee, and Rosie Perez. 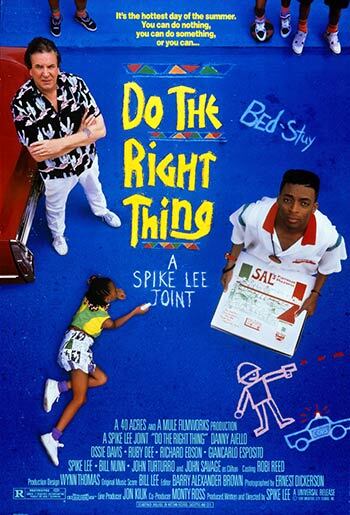 Spike Lee announced his arrival as a major voice in American cinema with this landmark film set in Brooklyn’s Bed-Stuy neighborhood, where racial tensions boil over on the hottest day of the year. One of only five films to be selected for preservation in the Library of Congress in their first year of eligibility.